Using Human Growth Hormone has hurt the Yankees pitcher's reputation, but his admission came before HGH was banned—and his career stats equal other Hall of Famers'. There’s almost no question that Rivera is a Hall of Famer. There’s almost no question that he will be elected on the first ballot, or that he’s the greatest relief pitcher of all time. Conversely, few would argue that Andy Pettitte is a first-ballot Hall of Famer, and I don’t know any baseball analyst who considers him one of the greatest starters ever. But does that really mean, as many are arguing since Pettitte announced that he was retiring at the end of the season, that he isn’t worthy of the Baseball Hall of Fame conversation at all? Pettitte, largely thanks to the blemish on his reputation caused by the fact that he’s admitted to having used Human Growth Hormone, will never get HOF support like Ruth did, or like Rivera will. But the statistical résumé he’s put together over the course of his career presents several convincing arguments for why the front end of the Pettitte-Rivera combo at least merits some consideration. 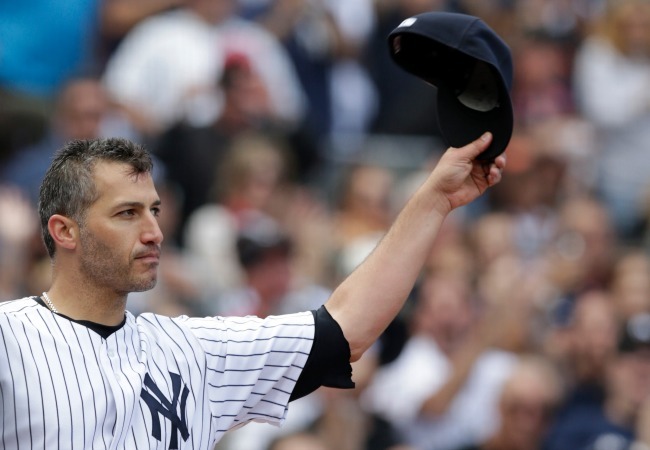 Pettitte’s win-loss percentage measures up to other Hall of Famers’. BaseballReference.com ranks Pettitte in the class of Juan Marichal, Catfish Hunter, and Herb Pennock—Hall of Famers all—largely on the basis of win-loss percentage. That’s pretty good company. It has been argued, correctly, that the eight pennant winners Pettitte has pitched for have much to do with his stellar win-loss percentage. But couldn’t the same be said for many, or even most, of the pitchers on the HOF list? Lefty Gomez, for instance, is sixth at .649, winning 189 and losing 102. Everyone agrees Gomez was a great pitcher, yet no one questions that his career benefited enormously from pitching for the late 1930s and early 1940s teams of Joe DiMaggio and Bill Dickey. Pettitte has shown remarkable consistency over a long stretch. If Pettitte finishes up the season at his current 10-11, it will be the first losing season of his career. He’s won more than 20 games twice and pitched more than 200 innings in 10 seasons. He was a mainstay on the Yankees’ staff in seven World Series, and he also helped a not-terribly-distinguished Houston Astros team win their only National League pennant in 2005. That season, he won 17 games, the second-highest number of wins for the Astros behind Roy Oswalt’s 20. Some say postseason play shouldn’t be considered when voting for the HOF because not all pitchers have the same chance to be in the playoffs. But I don’t understand this argument. How can a pitcher’s performance at the highest level of competition simply be ignored? Pettitte has pitched more than the equivalent of one full season in the postseason: 276.2 innings. He holds several postseason pitching records, most notably the most postseason wins—19. If you add his playoff and World Series totals to his regular season numbers, he has 274 wins and 164 losses for a .626 W-L. So, if you include Pettite’s postseason record—and I would argue vociferously that you should—Pettitte becomes one of the top 25 winningest pitchers through the 20th century till now. That alone should make him a legitimate Hall of Famer. Many of the arguments against Pettitte can be summed up by what Bill James calls “black ink”—the league leading totals that are bolded in the record book. Pettitte led the league in wins only once, in 1996. But the same can be said for other players who are considered legitimate HOFers. Derek Jeter is pretty much a consensus future member of the Hall, though he has never led the league in batting average, on-base percentage, home runs, or in fact any major hitting category. Mike Piazza, one of the greatest hitters in the last 30 years, surely will get a plaque in Cooperstown (although he missed getting in on the first ballot earlier this year). But Piazza never led the league in any hitting category. He has won more games in the big leagues than other Hall of Fame pitchers like Catfish Hunter and Jim Bunning, both of whom made it to Cooperstown with 224 victories, yet neither one is 100 games over .500 lifetime the way Pettitte is. But, Lupica continues, that’s only part of the story. The rest of it involves performance enhancing drugs, human growth hormone, Pettitte wanting everybody to believe that he only used them twice, and only because he wanted to badly to come back from injury as fast as he could and help his team. Right. Lupica’s got his facts wrong, though. For instance: Andy Pettitte has never been accused of using performance-enhancing drugs. He has admitted to using human growth hormones (HGH), but HGH is not a steroid, and there’s no evidence it enhances performance. As New York infectious disease specialist Kent Sepkowitz says, HGH “is a relatively sedate amino acid – something people produce throughout life.” It might help repair damaged tissue and bone, which makes it very tempting to athletes like Pettitte, who suffer what might be a career-ending injury (in Pettitte’s case, the elbow of his pitching arm). And let’s note that on the two occasions Pettitte admitted to HGH use, 2002 and 2004, the substance was not banned by Major League Baseball. Using HGH didn’t become a rule violation until 2005, and there is no known evidence of Pettitte’s use of other performance-enhancing drugs. The side effects of HGH, especially in large doses, is still largely unknown. But is Lupica or any other sportswriter contending that if their livelihood—or their living—were on the line because of an injury, they wouldn’t risk taking a needle in the backside? If Lupica or anyone else can cite any evidence that HGH boosted Andy Pettitte’s performance, then they should do so. If they can’t, then they should go by the numbers. And the numbers say that Andy Pettitte deserves to be in the Hall of Fame.